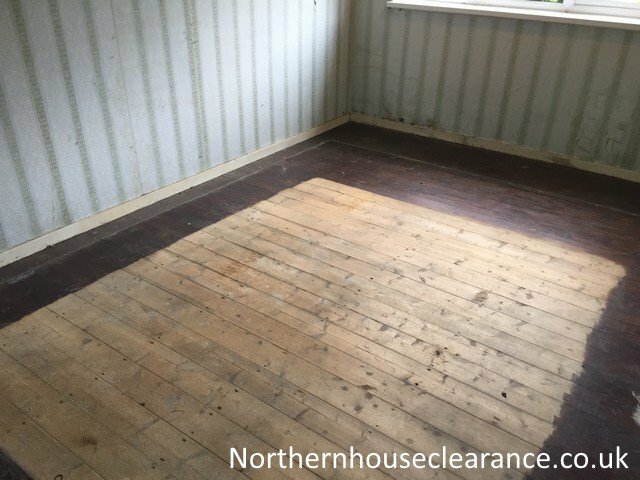 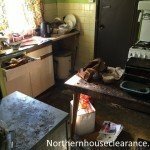 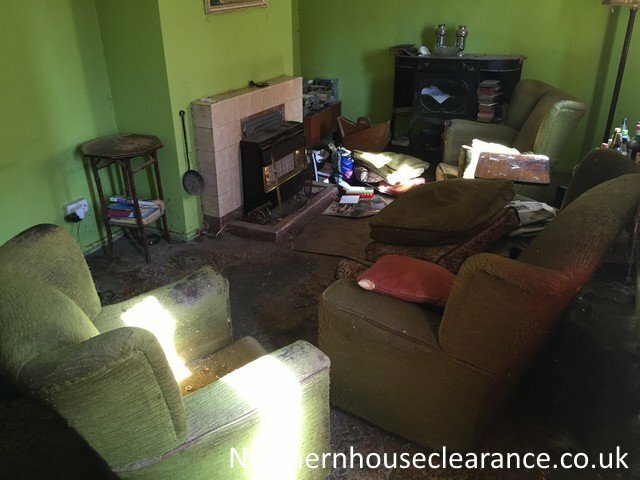 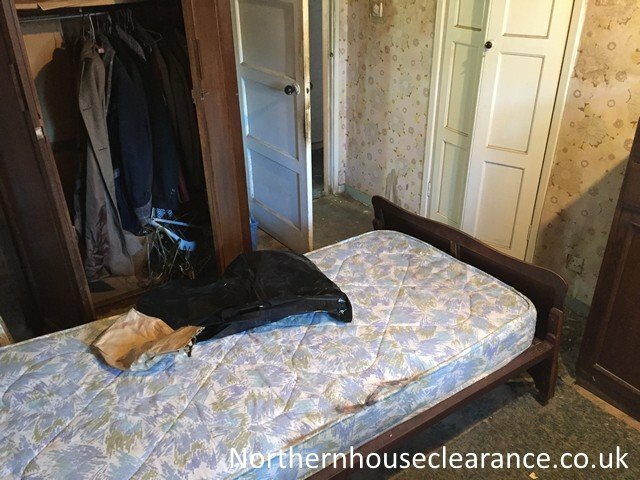 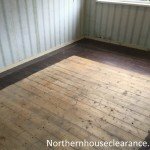 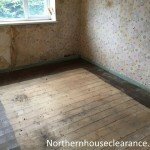 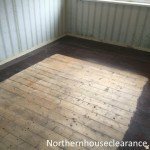 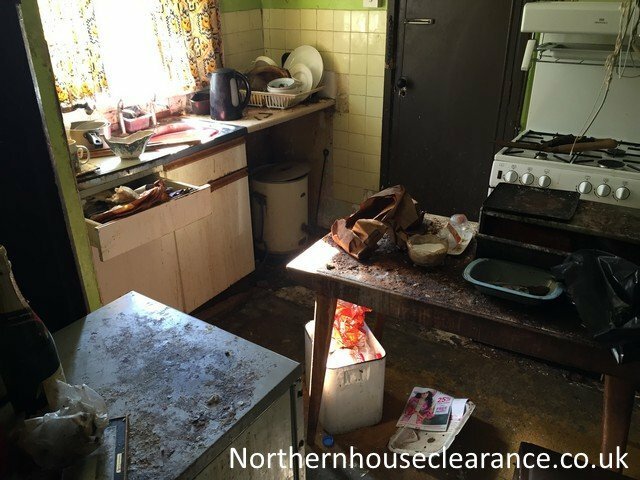 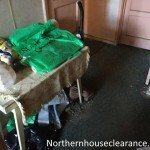 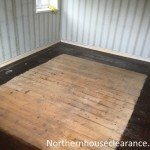 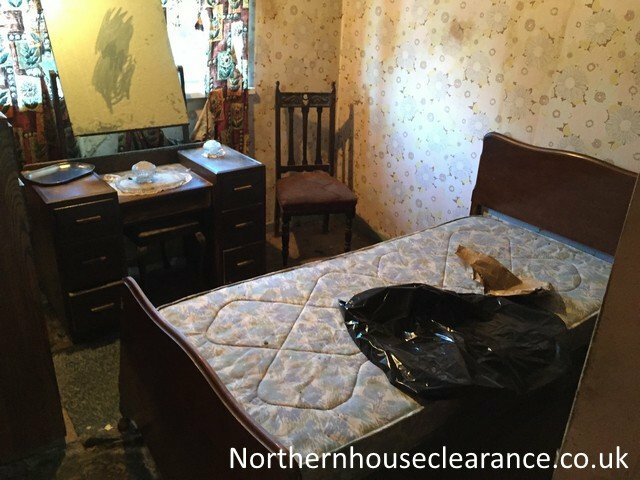 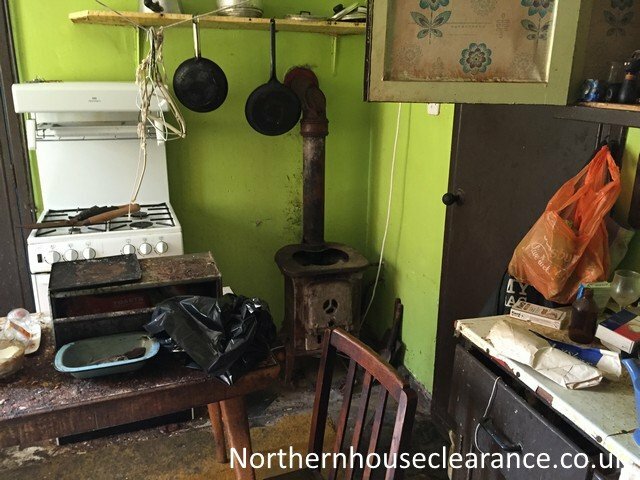 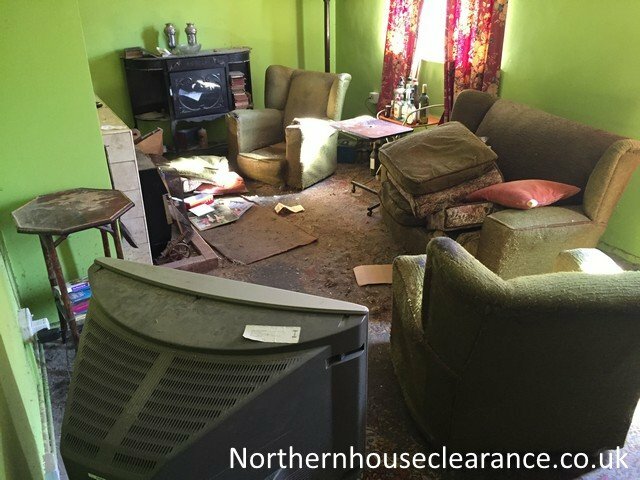 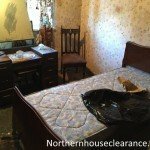 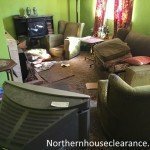 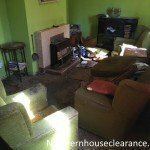 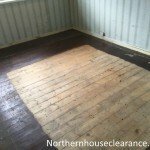 We undertake house clearance in all areas of Scotland: Bonnyrigg Invergowrie Auchterarder Pitlochry Coupar Angus Newton Mearns Lochwinnock Bridge Of Weir Killin. 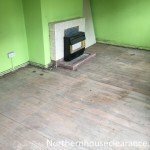 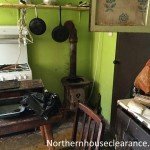 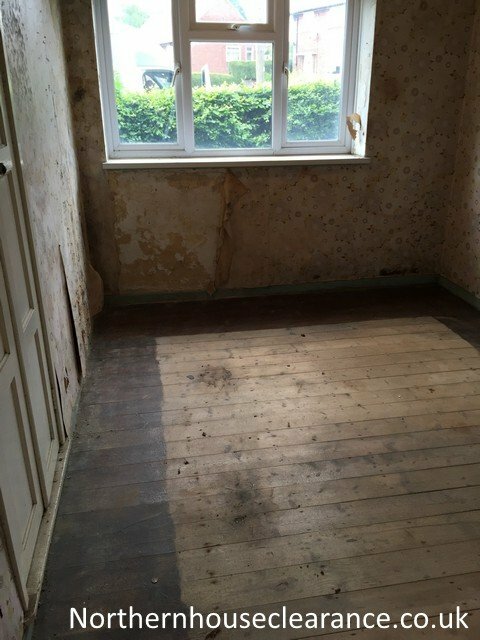 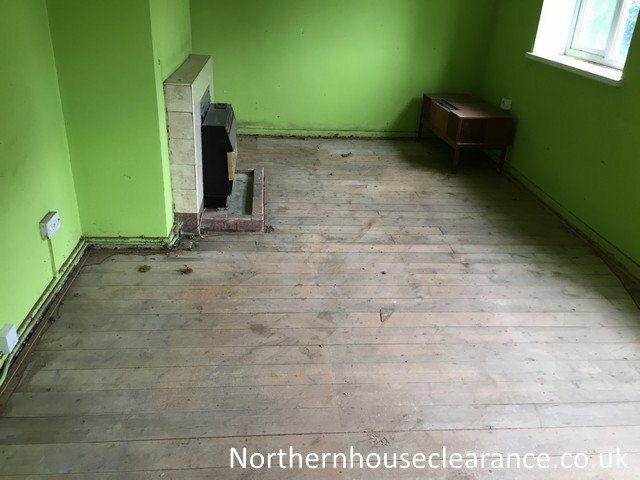 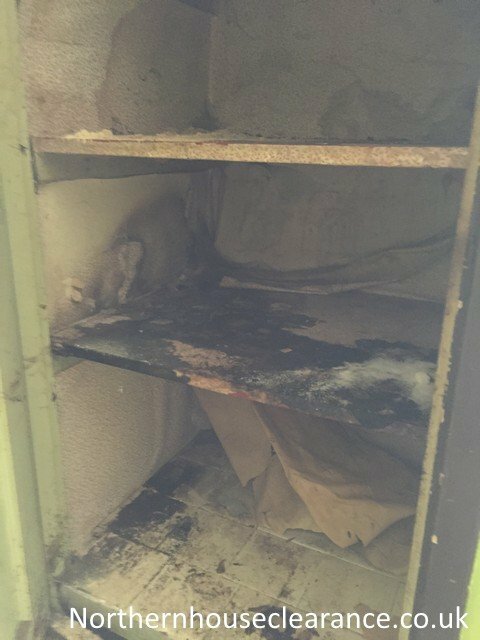 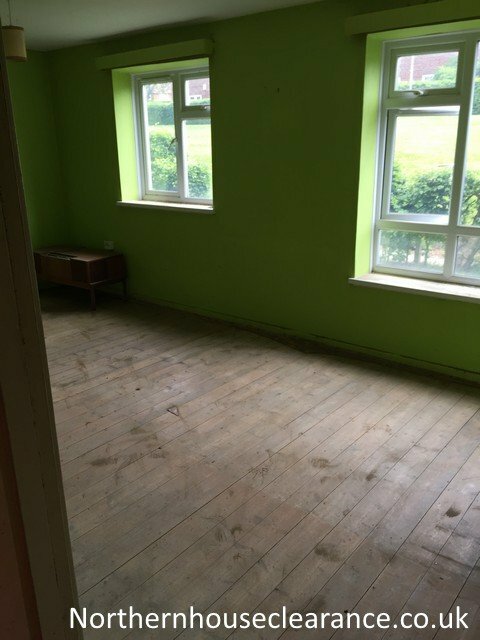 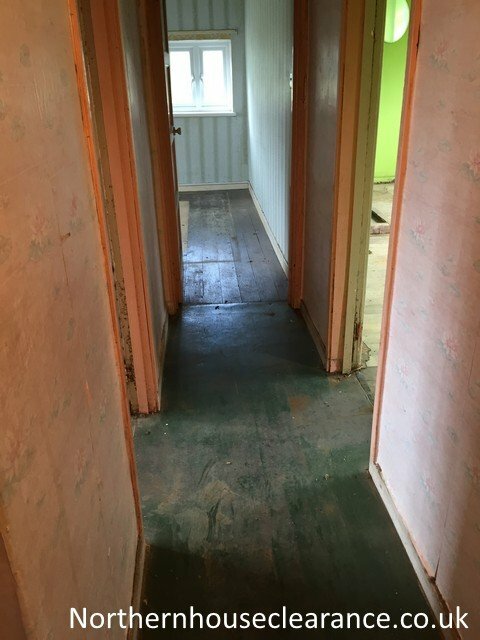 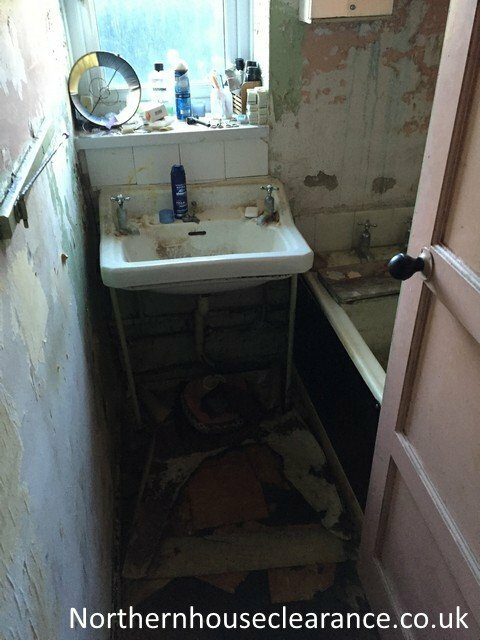 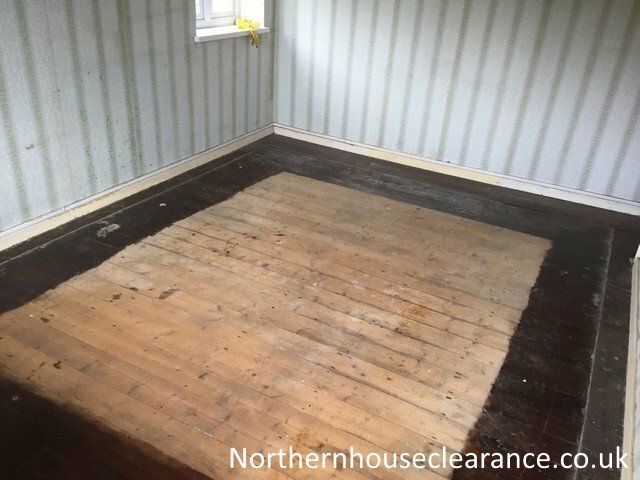 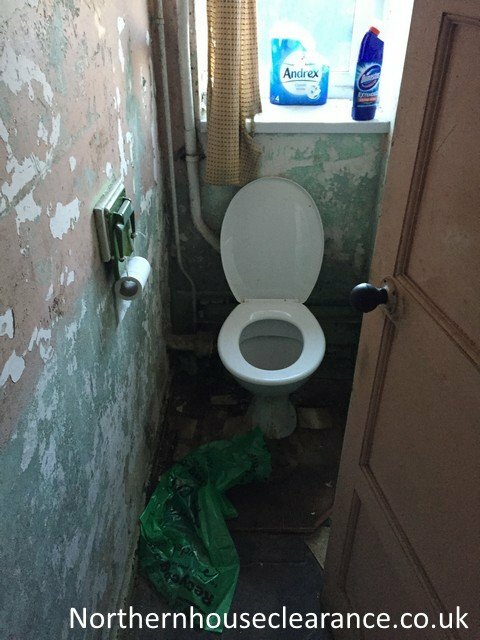 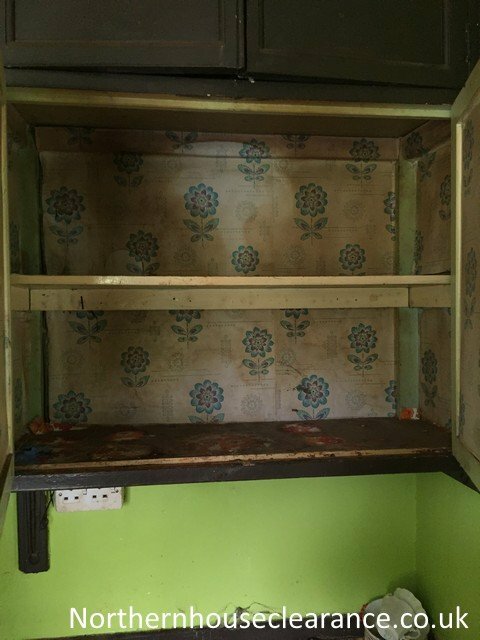 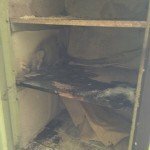 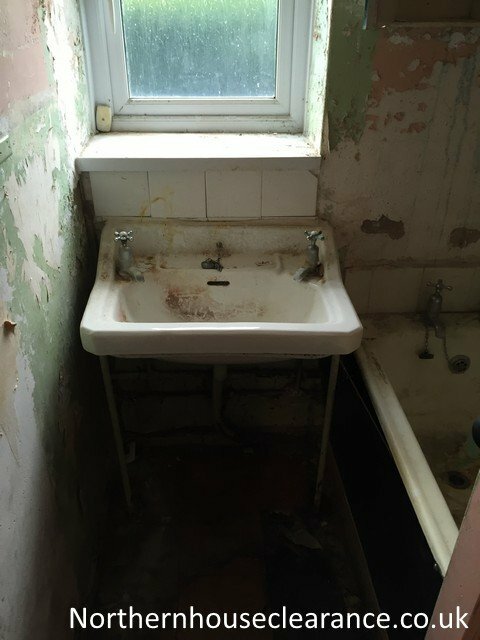 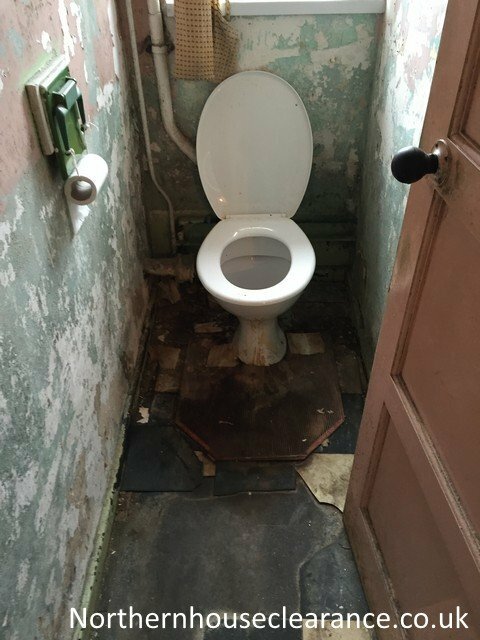 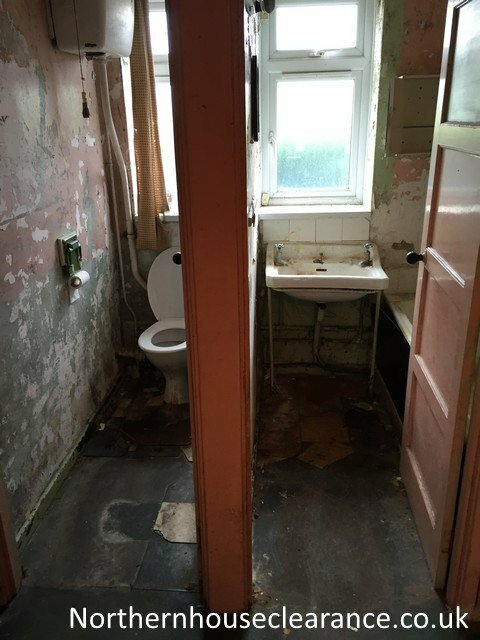 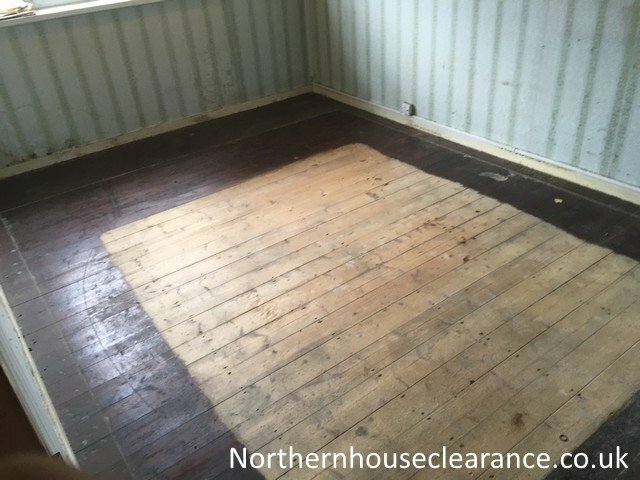 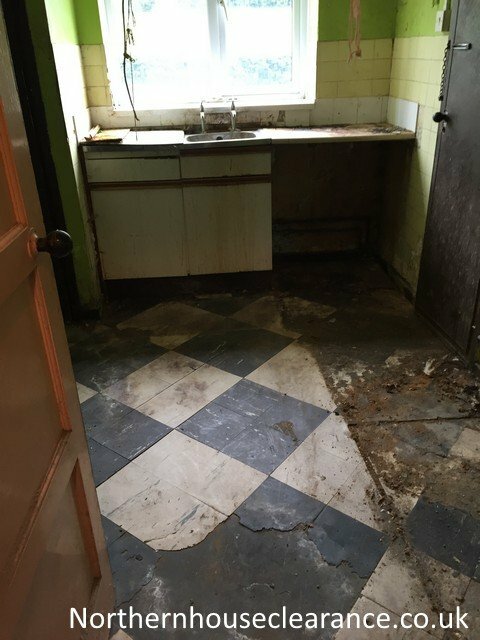 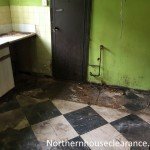 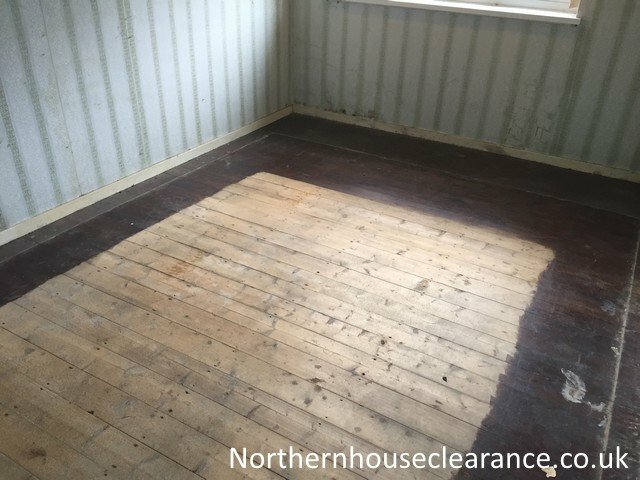 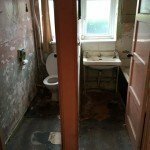 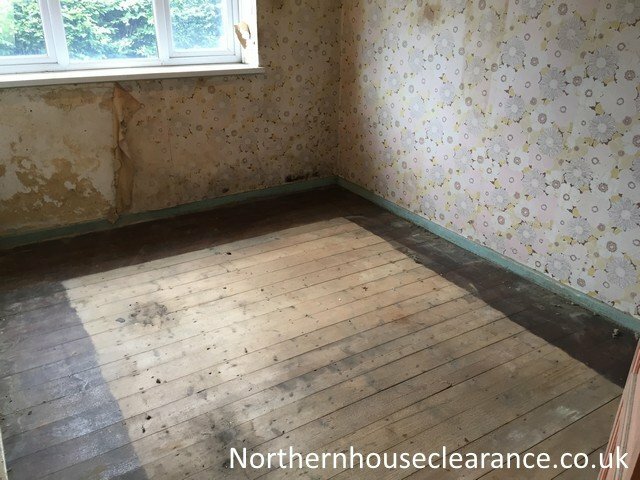 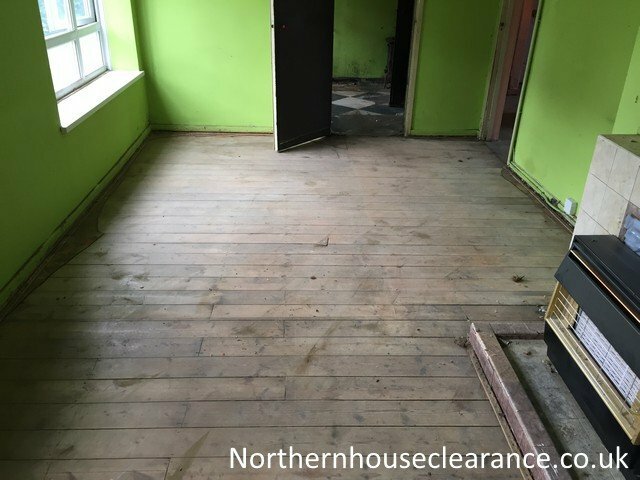 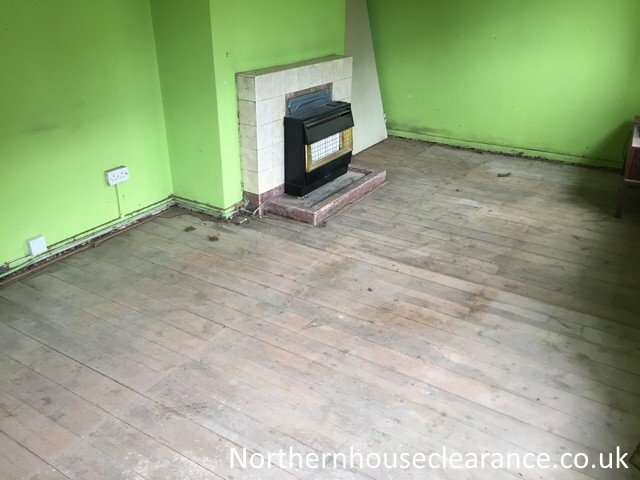 A firm of solicitors, working on behalf of the property owner, asked us to clear out a large four-bedroomed flat above a shop on Bishopbriggs High Street. 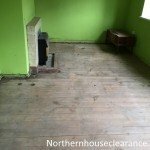 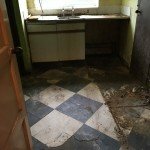 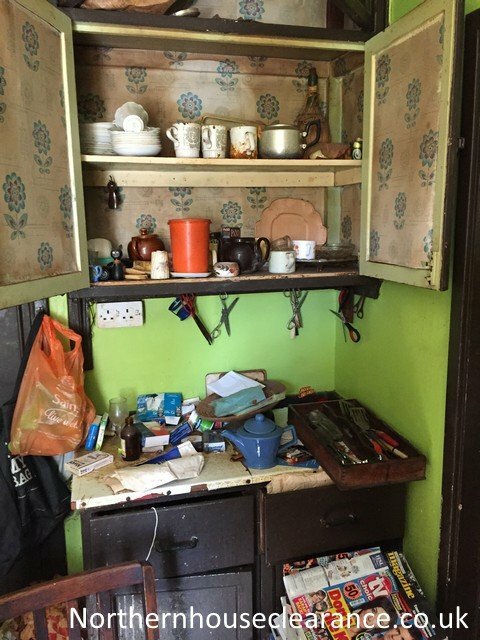 The owner lived in Scotland and had inherited the flat from a recently deceased family member. 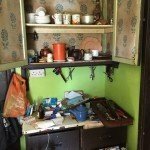 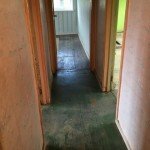 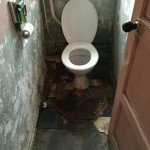 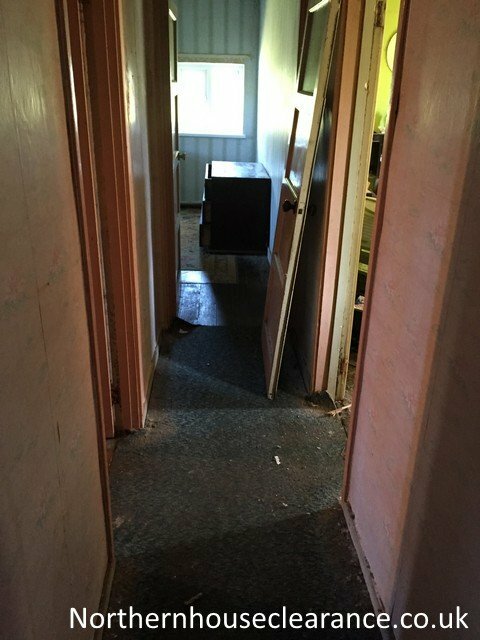 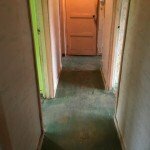 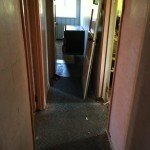 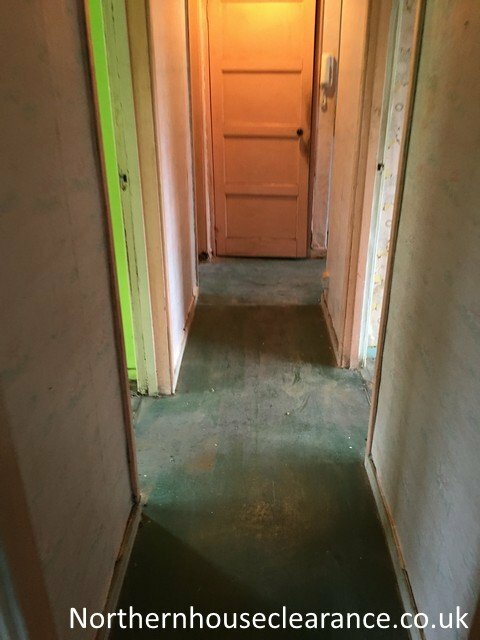 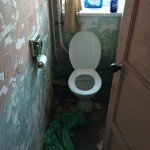 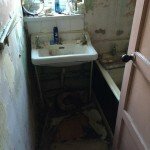 He had instructed the solicitors to prepare the property for sale. 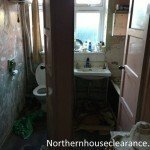 A full clearance was required, including removing the white goods from the kitchen. 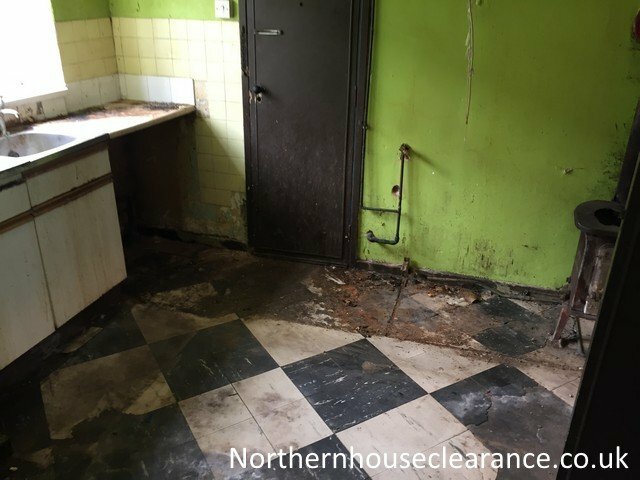 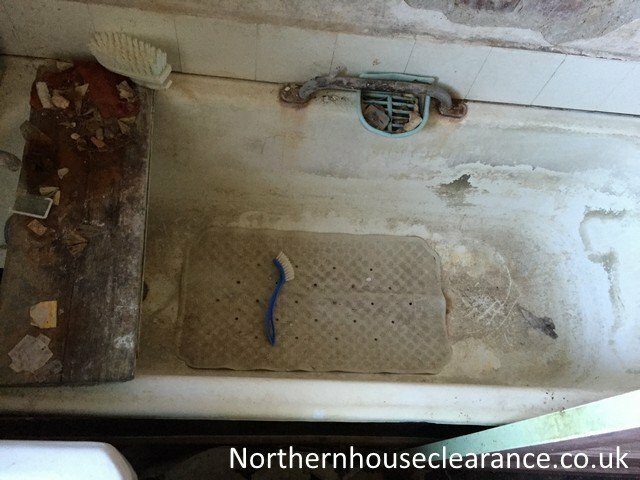 However, no deep clean was necessary because the flat was to be decorated before being sold. 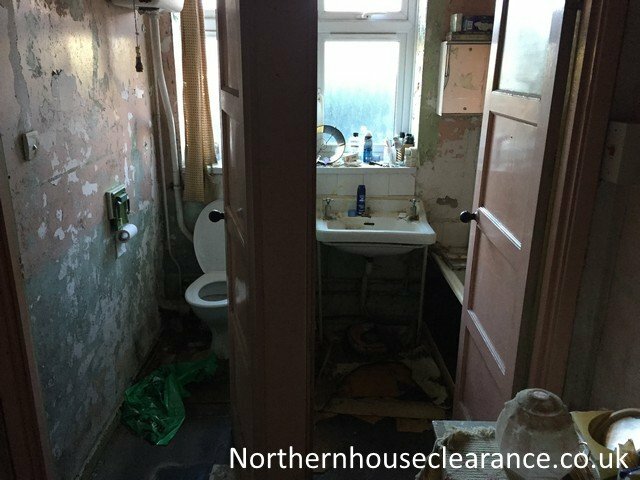 We were also asked to arrange for the locks to be changed on the front door because the owner was concerned about security. 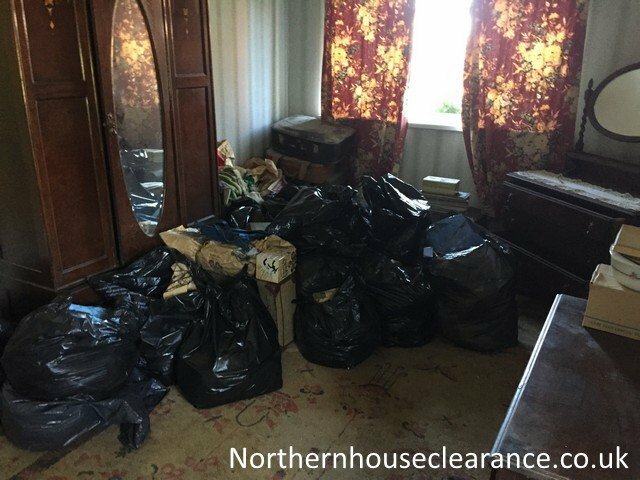 A number of items had been marked up to keep, and we were asked to deliver these to a secure storage unit. 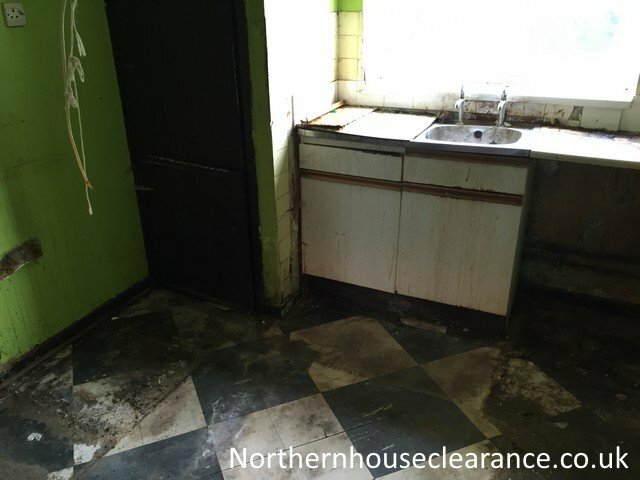 The flat was located on a busy street and there was no off-street parking, so before we arranged the clearance we had to apply for a permit from the local council which was duly granted. 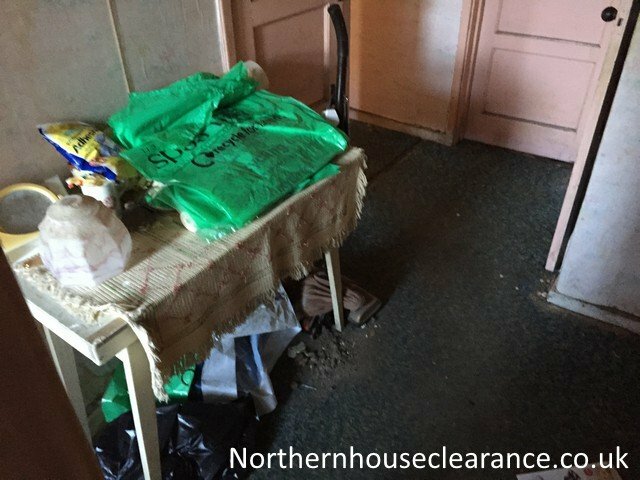 We arrived at 7 a.m. on the appointed day and set to work immediately after meeting with a representative from the solicitors’ office. 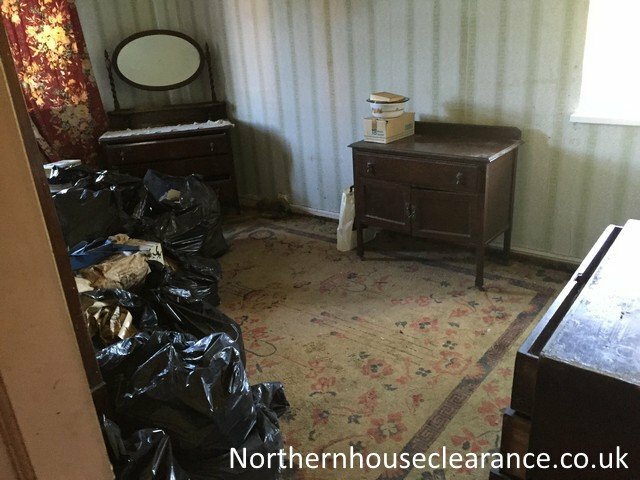 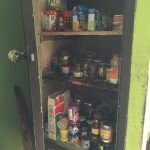 We started by separating the marked items and loading them into a van for delivery to the storage unit. 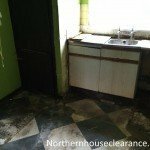 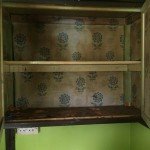 We removed all the remaining furniture from the flat and the white goods from the kitchen. 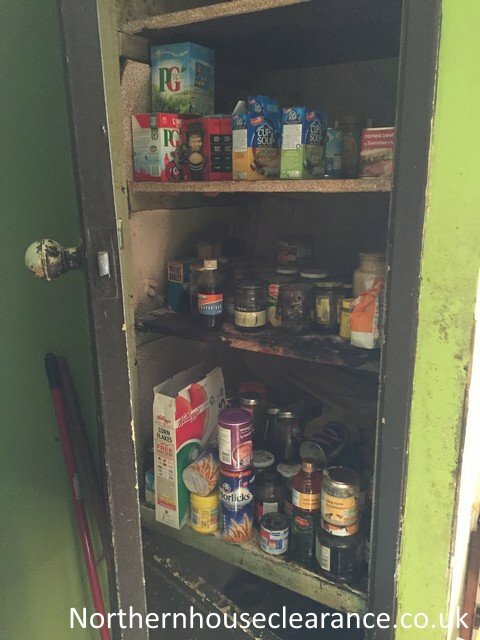 There was a large amount of cutlery and crockery in the kitchen which we boxed up and set them aside to be donated to a charity in Bishopbriggs. 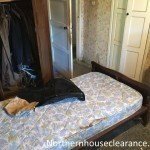 There were some personal effects in the property, including clothes and books, so we separated these to be reused. 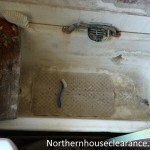 During the day the locksmith arrived and changed the lock on the front door. 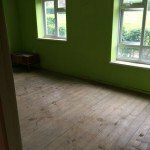 All of the clothes, books and other personal effects were donated to local charities and a working TV was given to a local youth centre in Bishopbriggs. 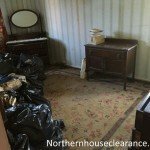 Some items were sent for recycling. 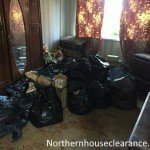 Nothing had to be sent to landfill apart from a few items that could not be recycled. 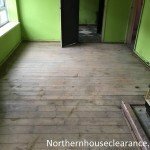 We had actually worked with this firm of solicitors many times in the past because we are on their list of approved clearance firms. 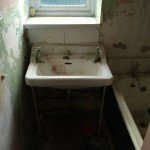 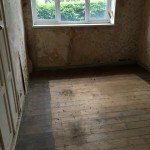 They were very happy with the standard of the work on this job and confirmed that they would continue to use our services.